Chelsea continue to be linked with potential successors for Antonio Conte amid ongoing doubts over the Italian tactician’s future at Stamford Bridge. As noted by Sky Sports, the former Juventus and Italy boss is expected to sort out his future at the end of the season, with Chelsea looking to end a disappointing campaign on a high note in the FA Cup final on Saturday. Having failed to finish in the top four this season, thus leading to an absence from the Champions League next year, it hasn’t been a good campaign for Conte or his squad and so the pressure has certainly been mounting. Countless names have been paired with the post over the months, but according to The Telegraph, with Napoli boss Maurizio Sarri now being linked with extending his stay with the Serie A giants, that has left former Barcelona coach Luis Enrique as a potential front runner for the job. Having won two La Liga titles, the Champions League and the FIFA Club World Cup in a trophy-laden three-year spell in charge at the Nou Camp, the Spaniard certainly has the experience and pedigree at the highest level to be considered a solid option for Chelsea. Nevertheless, having adopted a more pragmatic and defensively sound approach under Conte for the last two years, it would be a major change in style if he were to replace the Italian as he is known to play a more expansive and attacking game. Further, while he did enjoy his time as coach at Barca, his only previous experience of working abroad was with Roma which didn’t go quite to plan. In turn, there may be some reservations if he were to move to England. 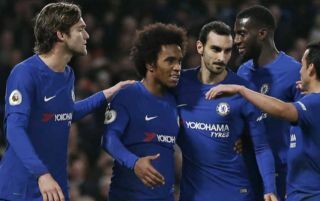 Time will tell if Chelsea are in the market for a new manager this summer or not with Saturday’s FA Cup final the more prominent matter at hand.